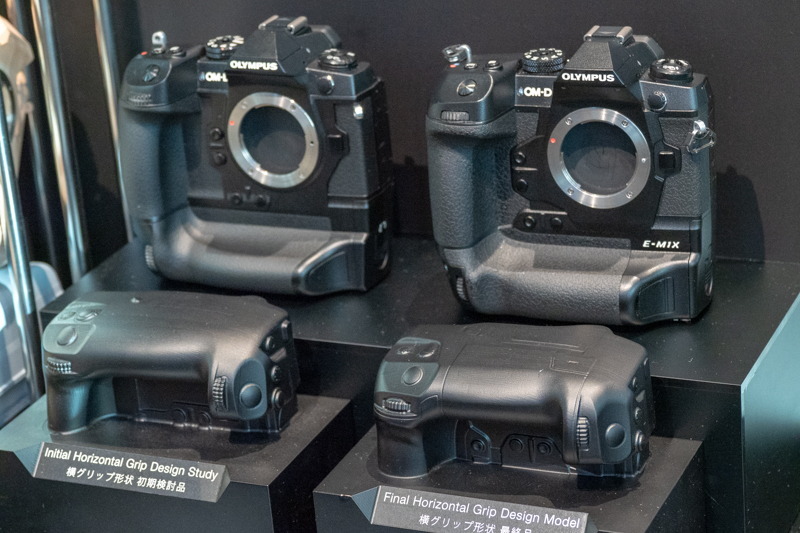 Olympus Japan shared a couple of new E-M1X images. 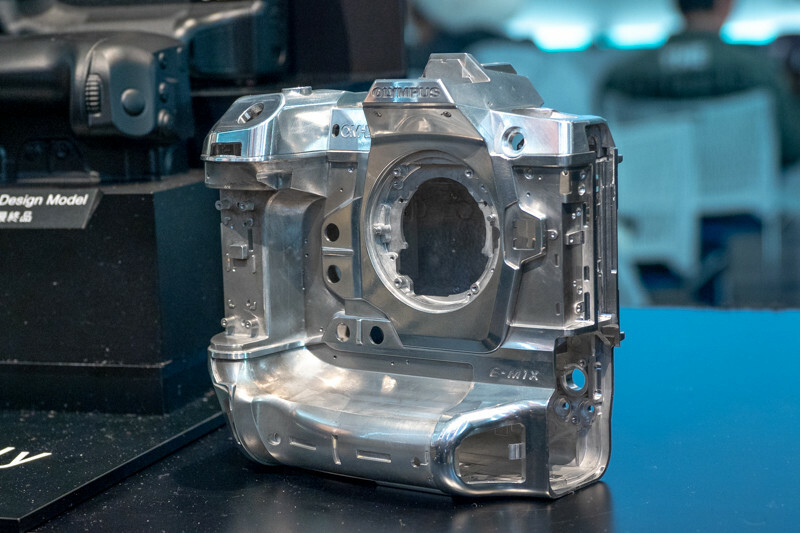 On top you see the “naked” E-M1X alloy structure. 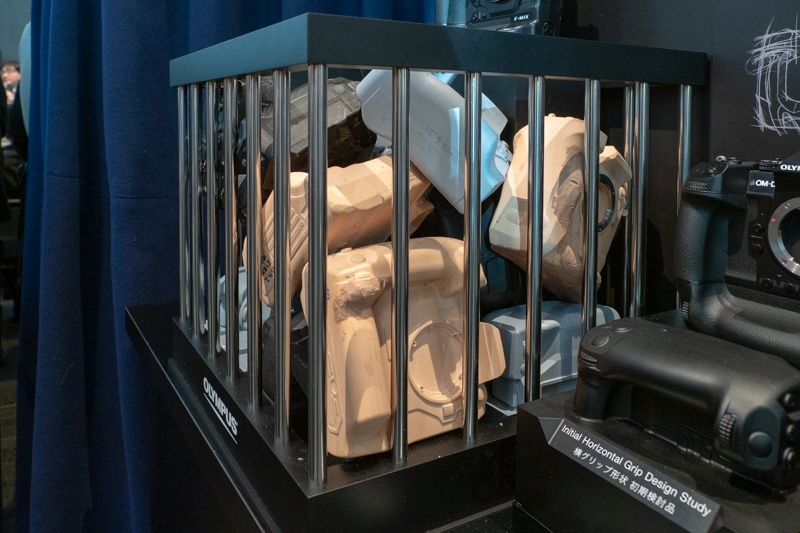 Below you can see a bunch of different 3D printed prototypes used to test the E-M1X ergonomics.